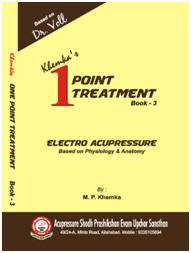 One Point Treatment (Book III) Electro Acupressure based on Physioligy & Anatomy by M P Khemka A normal acupressure protocol consists of a minimum of around five to six points and can go up to around fifteen points. 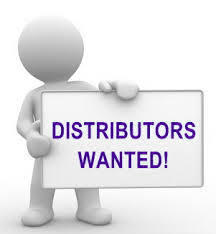 To be able to apply these protocols require certain amount of expertise. Further, a patient finds many points to be quite irksome. Hence, a need was felt to minimize the number of points as far as possible. Books I and II on the subject have been steps towards simplification of acupressure treatment so that even a beginner could cure simple diseases. Whereas Books I and II dealt with Chinese acupressure, Book III pertains to Electroacupuncture According to Voll (EAV), a powerful adjunct to TCM. This book like Books I and II is the result of author�s empirical research, study and experience based on treatment of thousands of patients with the help of just a single point. The author found that in a very large number of diseases, often a single point suffices to cure the disease. In this book, the author has compiled a list of about 300 diseases that can be treated with one point EAV protocol. This book, along with Books I and II, is a boon to all acupressure therapists whose job now becomes much simpler.